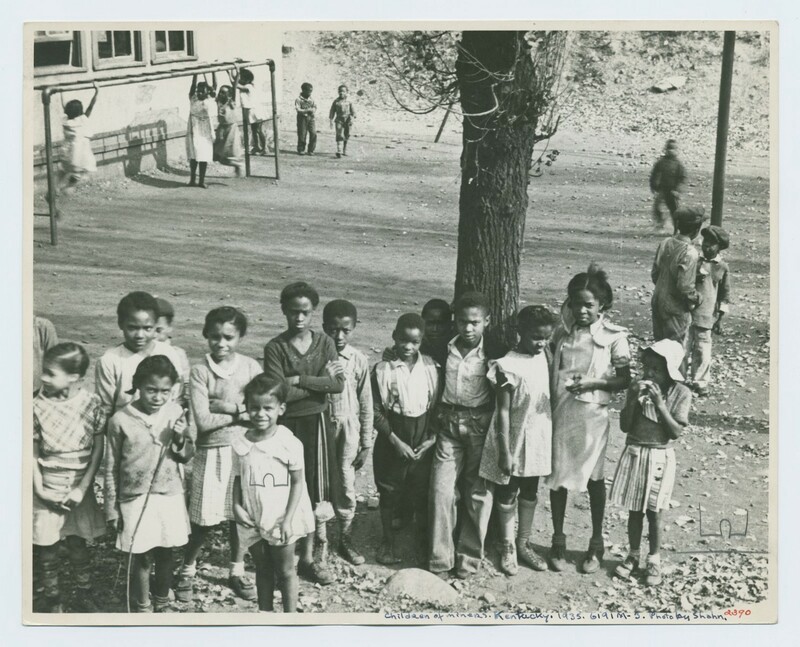 Children of miners, Kentucky, 1935. Two of the five Dionne quintuplets are still alive — Annette and Cecile — and they are fighting for dignity and the acknowledgment that the treatment of children matters. The home they were born in 83 years ago in North Bay, Ontario, is now a museum with its funding in peril and future in doubt. The reappearance of the quintuplets’ story reminds us of a tragic practice. The province took them away from their parents, supposedly to prevent their exploitation. But that justification was belied by the province’s subsequent use of the quintuplets as half science experiment, half tourist attraction. It was a stark demonstration of the arrogance of a state that concocts untenable reasons to break apart families. Theirs is not an isolated case. History teaches us that the Canadian government, and its U.S. neighbor to the south, have broken apart other families too, on similarly tenuous grounds. Both Canada and the U.S. removed Native children from their families and placed them in residential or boarding schools throughout the 19th and 20th centuries. The purpose was to assimilate them into dominant society. This process is now recognized as having been deeply harmful to Native children, families, and communities. Entire generations of Native Americans lost their ties to their families, their homes, their nations, and their cultures. The schools are now seen as a grievous error, and Canada’s prime minister made an official public apology and established a Truth and Reconciliation Commission. Into the 21st century, state child protection services have disproportionately relocated minority children out of their families and into foster care. African American and Native American children are overrepresented in foster care compared to their proportion of the national population, a 2016 brief from the Child Welfare Information Gateway explains. University of Pennsylvania legal scholar Dorothy Roberts shows how this over-representation is evidence of the ways that racial stereotypes have — often inadvertently — led to the assumption that African American parents are irresponsible. The system premised on taking children away from impoverished families is harmful, she argues, as well as costly. Yet with the advantage of hindsight, it is obvious that few of those cases actually were. These cases show the dangers inherent in acts of “protecting” children. Acting on behalf of children — and assuming their parents are incapable of helping them — can be risky and arrogant. Farther south on the U.S. and Mexico border, children are being removed from parents on similarly questionable grounds. Although U.S. Secretary of Homeland Security John Kelly has recently stated he no longer wishes to separate families at the border, the U.S. courts have indicated a willingness to use deportation to separate undocumented immigrants from their U.S. citizen children. To be sure, there are far too many cases in homes around the world where children are truly in peril. And child protection workers do not have the luxury of hindsight. Child protection services cannot be dismantled while violence against children still exists. But our governments would do well to follow two guidelines. First, the field of child protection has to pay close attention to this long and shameful history of misuse, and ask whether plans for child removal are grounded in danger to the child. They must ask whether what is at play are unexamined assumptions about what “good families” are supposed to look like. Second, the lion’s share of child protection funding should go to support poor families before they are at risk, not to break them apart. The two surviving Dionne quintuplets want the Ontario house where they were born to stand as a warning against the exploitation of children. It is a warning that should be heeded south of their border as well, and beyond, for all children. Jessaca Leinaweaver directs the Center for Latin American and Caribbean Studies at Brown University’s Watson Institute. She is a Public Voices Greenhouse participant with The OpEd Project.